Simply put, a life settlement is the sale of a life insurance policy to a third party for a lump sum of cash today. Yes, life settlements are both legal and regulated. In 1911, the U.S. Supreme Court issued a decision in Grigsby v. Russell, which recognized the rights of the life insurance policy owners to transfer ownership of their life insurance policies to a third party unrelated to the policy owner/insured and did not hold an insurable interest in the policy owner/insured. This landmark ruling paved the way for the birth of the life settlement industry in the United States, as the Court upheld a policy owner’s right to assign his/her life insurance policy. As of 2015, 42 states and the territory of Puerto Rico regulate life settlements, affording approximately 90 percent of the United States population protection under comprehensive life settlement laws and regulations. Of these states, 31 have a statutorily mandated two-year waiting period before one can sell their life insurance policy, while 10 other states have five-year waiting periods and one state (Minnesota) has a four-year waiting period. Most states have provisions within their life settlement acts whereby one can sell their policy before the waiting period if they meet certain criteria (i.e., owner/insured is terminally or chronically ill, divorced, retired, physically or mentally disabled, etc.). For the vast majority of states, a life settlement transaction is regulated by each state’s Department of Insurance, which typically requires the buyer (i.e., life settlement provider) of the life insurance policy to be licensed by that state. Most states require all forms used in the transaction to be reviewed and approved to assure clarity and fairness. Regulated states have rules that the broker and buyer must follow — such as when the sale proceeds it must be placed into an escrow account, or when the proceeds must be released to the seller after the transfer of ownership has been acknowledged by the carrier. In this way, the regulations protect the seller. Why would I sell my life insurance policy? What does the life settlement process look like? Policy owner realizes that his/her life insurance policy is an asset that can be sold. 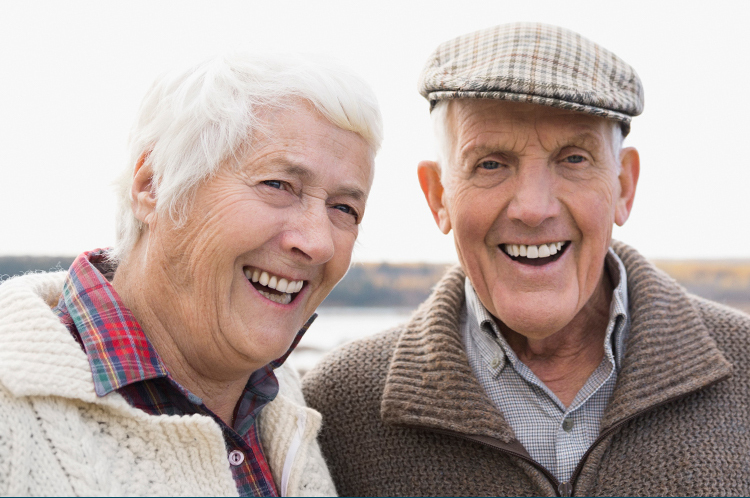 If a life settlement is determined to be the best option, the policy owner or the advisor contacts a life settlement provider, like Berkshire, or interacts with their trusted advisor to contact us to discuss the possibility of a life settlement. The policy owner will be required to fill out an application and provide policy, ownership, and insured information including a list of physicians and/or medical records for review. We will submit any and all medical information available on the insured to be reviewed by medical experts to determine the insured’s life expectancy. These reports are developed by in-house and independent companies. We will perform a detailed analysis of your policy to develop what we believe to be the policy’s current present value. We consider different factors when valuing a policy, including contract specifics such as premium expense, death benefit, and carrier ratings, as well as insured information such as age and life expectancy. We will either decline or extend an offer to the policy owner or their trusted advisor. The policy owner can accept or decline any offer. If the policy owner accepts an offer, we will prepare a purchase and sale agreement and other documents formalizing the transaction. The policy owner, insured person, and beneficiaries then sign this package. We will review, complete due diligence, and countersign the package. The funds for the settlement transaction are then placed in an escrow account. The insurance carrier is notified of the change of policy ownership and beneficiary to the new owner, the provider. Upon written verification of the change of ownership and beneficiary, the escrow agent releases the settlement payment to the seller of the policy. What are alternatives to life settlements? As a policy owner, you do have some exit strategies when it comes to your life insurance policy, including the underlying asset of life settlements. Unfortunately, only six states require the life insurance companies to notify policy owners of the alternatives to lapsing or surrendering a policy back to the insurance company. For more information about which option is best for you, please call us to discuss your options. How much money can I expect to get for my policy? The amount received from selling a policy will always be greater than the cash surrender value but less than the policy’s face value. The amount you get varies and depends on many variables including, but not limited to, the future premiums required to keep the policy in force, the insured’s life expectancy, and the policy’s face value. A policy seller's payout averages around 18 percent of the policy’s face value. This is calculated with an insured having an industry average of 10 years. How is my policy valued? Your policy is valued based on a number of variables, most importantly the face value of the policy, the future premium obligations in order to keep the policy in force, and the life expectancy of the insured. A life and viatical settlement are essentially the same thing: a sale of a life insurance policy to a third party for a lump sum of cash, today. The major difference is the term viatical is typically associated with a sale of a policy where the insured has a chronic or terminal illness. Remember, some states do not distinguish the difference in terminology between the transactions. There could also be a difference in the tax consequences between a viatical and life settlement. We suggest you discuss the tax consequences of both settlements with your tax advisor. The proceeds of a life settlement are usually taxable. Ask a professional tax advisor to be absolutely sure. The proceeds of a life settlement could also be subject to creditors' claims. If the seller is within two years of death, other laws making the proceeds tax-free may apply. No. If you feel you can represent yourself in the transaction you can potentially save yourself thousands of dollars in fees. Typical brokerage quoted in the market today can be 6-8 percent of the policy’s face value or 30 percent of the gross proceeds of the sale. Much like selling any asset for value, make sure you understand the transaction before making a decision. Are there any costs to the policy seller? There is no cost to apply. If you choose to be represented by a broker in a life settlement, they will charge a fee for their services. The amount and method of calculating the fee should be provided to the policy seller in the disclosures from their broker. Most life settlement transaction take one to five months, on average, to complete. Life settlement transactions are complex and require the cooperation of a number of entities. Some entities have statutory limitations on the amount of time to respond to certain requests during the transfer process. This can delay the transaction. It's always recommended to speak with the insurance agent, professional advisor, or a life settlement provider before beginning the life settlement process, especially if your policy is approaching lapsation or a premium payment is quickly forthcoming. Options may be available to keep the policy in force while you weigh your options. In general, seniors who are over 65 years old and have a life insurance policy with a face value greater than $50,000 may qualify. Younger insured people with a terminal or chronic health conditions may also qualify. Contact us. We will provide you with an application and the required releases in order for us to gather the necessary information to evaluate your life insurance policy. Are there restrictions on the use of the proceeds from the sale of a life insurance policy? There are no restrictions on the use of the proceeds of a life settlement. Remember, the proceeds may be subject to tax or claim by creditors. But in general, it is your money — use it as you best see fit. After you sell your life insurance policy, the policy is typically placed with an asset servicer whose responsibilities are to keep the policy in force and update the buyer on any health status changes to the insured. You or someone you designate might have periodic contact with the asset servicing company in order to verify your address, contact information, and current list of physicians. Each state that regulates life settlements set the guidelines for how, when, and how often the insured or designee can be contacted. Life expectancy firms calculate how long you are going to live based on age, gender, tobacco use, medical condition, medical history, and lifestyle of an individual compared against a group of individuals sharing similar characteristics. This is sometimes known as a mortality table. The average life expectancy is then calculated for an individual using this mortality table. Third party life expectancy firms make their calculations after reviewing the insured’s most current medical information. Not with Berkshire. We may request you compete a medical history questionnaire or provide us with access to your medical records, but we do not require a physical examination to qualify. No problem, whatsoever. Remember that you don't have to accept any offer to purchase your life insurance policy. If you do accept an offer and later reconsider, remember that some states have laws that allow you to change your mind within a certain amount of time with no questions asked. No. The transaction doesn’t become binding until the end of any state-mandated rescission period. This period, which is defined by your state’s insurance commissioner, is a period after you have either signed the settlement contract or received the proceeds from the sale. During this time period, you can return the proceeds to us and receive your policy back — no questions asked. Why work directly with Berkshire instead of a broker? You can potentially save tens of thousands of dollars in fees by working directly with a buyer. A broker can provide a valuable service in our market, but many times there is a misalignment of interests. A sophisticated or savvy policy owner can quickly learn the process and represent themselves in a life settlement transaction. Is there anywhere I can get additional information about life settlements? Of course. We suggest you review information provided by the Life Insurance Settlement Association or call your Department of Insurance. Both of these organizations provide great opportunities to learn more about how a life settlement can change your life.